This is a guest article written by Faraz Damji. Faraz is a strength and conditioning intern at Saltus, as well as a Kinesiology undergraduate student at UBC. An avid basketball fanatic, Faraz is pursuing a career in sports medicine. The intent of this article is to facilitate the education of our interns by having them understand the theory and science behind strength & conditioning, while balancing it with practical application. Perhaps the most primitive movement pattern known to man is the squat. Humans have been performing this movement since the hunter-gatherer days. We find babies routinely playing while sitting in a squat position. In other countries, people eat their meals while squatting. The squat is undoubtedly needed when performing athletic movements in a variety of sports. Whether it be rising from a chair or getting in and out of the car, we squat everyday without even knowing it. Squatting is a natural movement that is one of the best functional exercises to perform. This particular movement is unique in that it involves nearly every muscle throughout the entire body. There are numerous benefits offered, making it a fundamental exercise that should not be overlooked by any means. Squatting should be included in every athlete’s workout routine not only to optimize sport performance, but also as a means to a healthier lifestyle and better overall fitness. There is no universally perfect technique for the squat. Individual modification is inevitable due to a multitude of factors such as differences in anthropometric characteristics (body measurements), limited flexibility, or simply poor habits. However, there are guiding principles remain consistent and should be followed. Athletes should progressively improve their technique with corrective efforts being made. Here are some tips to keep in mind while squatting to ensure proper movement and safety. Firstly, a balanced stance is necessary. Heels should be slightly outside hip-width apart with the feet flat on the floor and turned out to a comfortable angle that suits the individual. It is critical that the knees are pointing in the same direction as the feet. Knee valgus (inward collapse) should never occur as it is a major risk factor for injury. The hips should appear to sit in between the heels and reach full depth at the bottom of the squat – that is, squatting to the lowest position possible while maintaining posture. It is okay for the knees to go beyond the toes to encourage range of motion and proper trunk orientation. At the top, full hip extension is required by standing up straight and thrusting the hips. The spine must remain flat or neutral, avoiding any rounding of the lumbar region (lower back). It is important to keep the chest up at all times to prevent the torso from leaning forwards. There are several different variations of squats with the same basic mechanics described above. They are all equally beneficial. The style chosen depends primarily on your training goal and physical ability. Squats are typically done with a barbell but one can substitute with dumbbells or kettle bells for any variation. Even a weighted vest or resistance bands can be used. The two main variations include the back squat, which is the most conventional, and its counterpart the front squat. In the classic back squat, the weight sits on the traps/upper back. In the front squat, the weight sits on top of the front deltoids and collarbone. A good rack position is necessary, keeping the elbows up to support the weight. Both recruit the same major muscle groups with different emphasis. Back squats focus on the posterior chain (hamstrings, gluteals) whereas front squats are more anterior chain dominant (quadriceps, abdominals). This is logical due to the placement of the load. It is much easier to use a heavier load with the back squat because the muscles worked are bigger and stronger. It is unsafe to go as heavy with the front squat because there is a tendency to fall forwards, thus requiring shoulder mobility, an upright posture and core stability. One is not superior to the other, rather they are complimentary. Another variation is the overhead squat in which the weight is held over the head with a very wide grip. This is a superb exercise for developing strength, balance, and full body mobility. Jump squats are an explosive squat variation that can be performed for increased power output and vertical jump height. It is essentially jumping repeatedly with a relatively light load. Full depth should not be achieved. Single leg squats are slightly more advanced and can be done to work on unilateral strength and stability with greater demand on the supporting hip muscles. Remember, the squat is not just an exercise on its own; it is foundational to many Olympic lifts, like power cleans, that incorporate this movement. At the physiological level, squats do wonders for overall health. To a greater extent than any other exercise, squatting builds stronger bones by improving bone mineral density. When doing conventional back squats, gravity pulls the weight down compressing everything under the bar. The spine and bones being influenced (which are living tissues) respond to this stress by rebuilding and getting stronger. Denser bones may prevent osteoporosis, provide support, and reduce the chances of fracturing or breaking a bone from falls. As squats work more muscles than any other exercise, more energy is burned as fat although not a significant amount compared to doing cardio. Muscle recovery also burns calories increasing metabolism post-workout. Body fluids are pumped faster, aiding in the delivery of nutrients to all tissues and waste removal. Hormones like testosterone and growth hormone are released when performed heavy. The presence of such hormones stimulates muscle building throughout the body. Injuries are far too common amongst athletes in today’s world. Strengthening the muscles surrounding the hips and knees significantly lowers the chance of injuries from running, jumping, or any activity. Strong gluteals, hamstrings and quadriceps act as stabilizers when making cuts and changing direction in sports like basketball and soccer. Deep squatting improves flexibility by moving your body through full range of motion. This is another way injury can be prevented in sporting events. The squat is excellent when it comes to building overall strength. Squats strengthen muscles from the lower and upper body. The following major muscle groups are recruited: quadriceps, hamstrings, gluteals, thigh adductors, calves, abdominals, upper back and lumbar spine muscles. It is a multi-joint, compound exercise that forces the muscles to work efficiently as a single unit while promoting mobility and balance. For this reason the strength benefits translate into real life activities outside of the gym, including sports. Squats help build incredibly strong legs, so more work can be done in the same amount of time, increasing power. 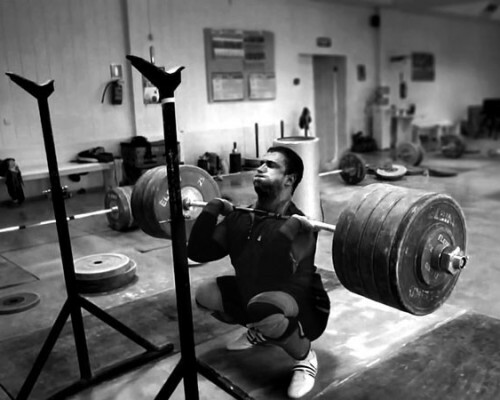 It has been proven that squats make you run faster, jump higher, and increase explosiveness. A study conducted by Wisloff et al. (2004) showed direct correlation of maximal squat strength with sprint performance and vertical jump height in elite level athletes. The strength base generated by squatting actually boosts endurance by improving running economy. It takes less effort to run when your legs are stronger and can tolerate more force. Squats will certainly help athletes of all ages, regardless if they are at the high school, collegiate or professional level. Not just athletes can take advantage of this exercise, studies have shown that all individuals can reap the vast array of benefits. Squatting is a potential answer to many health concerns and there is little competition with any other exercise. See tremendous improvement in your ability to run faster and jump higher with the incorporation of squats into your routine.